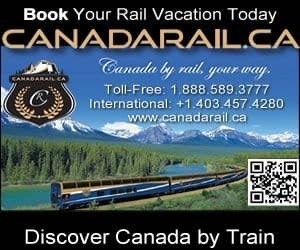 Detailed Description: Galena Park is the main community park located in the Village of Mayo in the Yukon Territories of Canada. 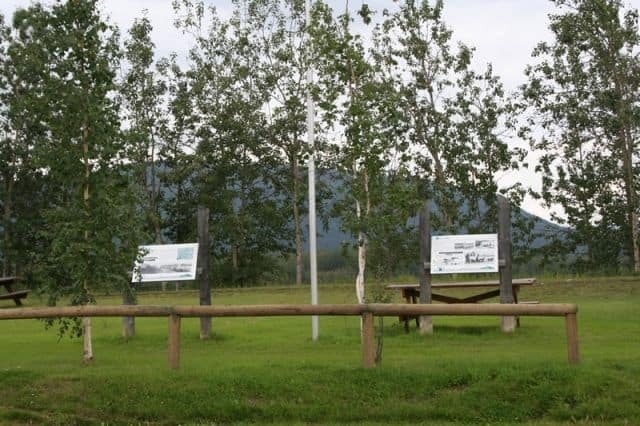 The park has a long strip of greenway grass with a few picnic tables and information signs detailing the history of Mayo and the significance of the Stewart River. 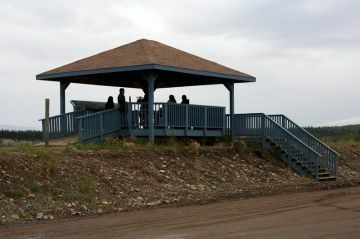 Check out the view of the Stewart River from the viewing deck in the riverfront gazebo in Galena Park. The gazebo has a set of stairs which lead down to a pebbled beach on the river. When the river is low the beach provides a good opportunity for beachcombing and sightseeing. 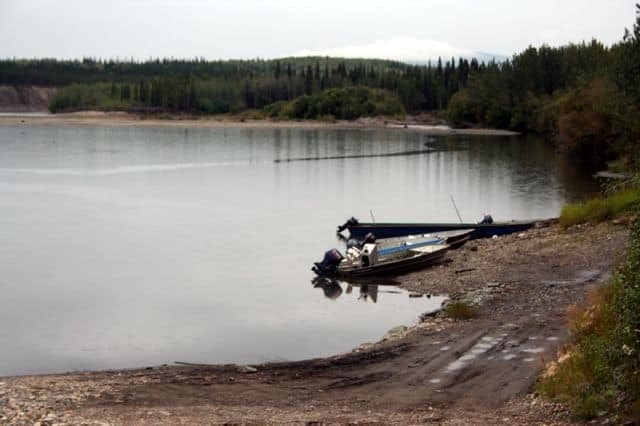 Visit Galena Park and the Stewart River in Mayo, Yukon Territories, Canada. How to Get Here: Galena Park in located in the community of Mayo at the south end of Centre Street.